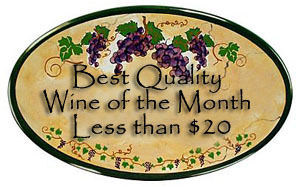 Synopsis, Our Opinion: NOTEWORTHY Italian red wine. 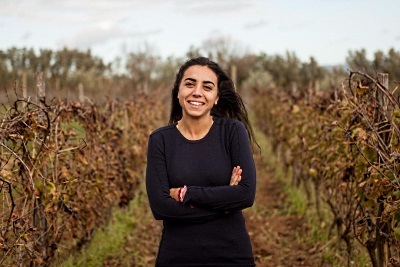 Producer/Winery: Arianna Occhipinti; Sicily, Italy. 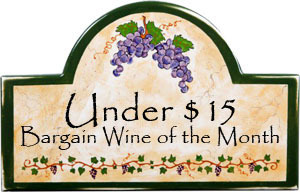 Purchased From: Woodland Hills Wine Company; Woodland Hills, California. Paired With: Chicken meatballs and baby bellas flavored with Emeril’s cajun essence, Marsala wine, and sherry, served over linguine and a garden salad. Opened one hour before drinking. Clear, dark garnet with tints of purple color and a lighter purple rim. Intense damp earth (maybe a little barnyard), ripe current, plum and sweet Confederate jasmine (Trachelospermum jasminoides) aromas. Smooth entry, rich, medium body and a 150-grit texture. A deluge of musty plum flavors with lots of peppery spice and a scrumptious mineral core, generous fresh acidity and plenty of dry, slightly grippy tannins. WOW, WOW, exceptionally well balanced with a very fresh and light mouth-feel. There’s plenty going on with this wine: the sweet Jasmine added romance to the bouquet, the ripe fruit and mineral combination was simply intoxicating and the slight graininess in the tannins really added vitality to the whole experience. Great paired with the meat-ball pasta dinner and great sipping after the meal. Vicky called it “FANTASTIC” several times, and it was that in spades. A NOTEWORTHY Italian red wine. Photo from John Herbstritt at Bi-Rite.. Comments: Learn more about Arianna Occhipinti and her wines. 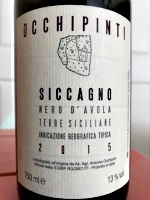 See all our reviews of Arianna Occhipinti’s wines. Imported by: Louis/Dressner Selections; New York, New York.